CCCHC’s Healthcare for the Homeless Program (HCH) has been in existence since 2003. We strive to provide and treat every patient with dignity and respect and have successfully provided uninterrupted medical care for 15 years to one of the most vulnerable population in our communities. Our goal is to link all experiencing homelessness or at risk of becoming homeless to medical care, oral health, mental health, substance abuse services and social support networks that will assist patients with long term stability. 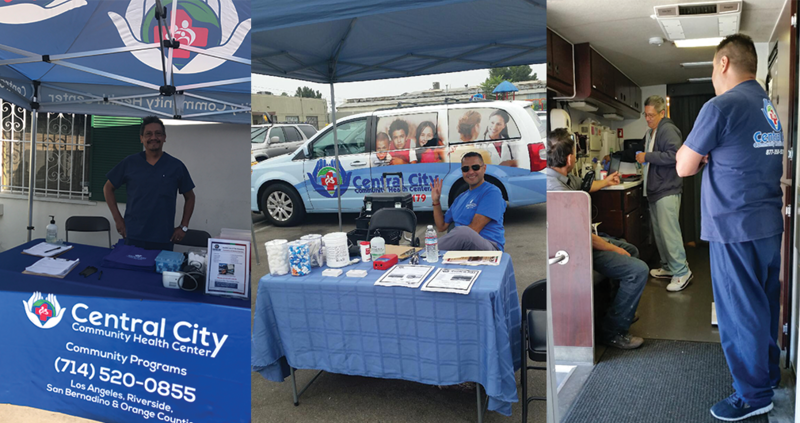 We provide services to the homeless through our clinic's located in four counties; Los Angeles, Orange, Riverside and San Bernardino through our Mobile Program. 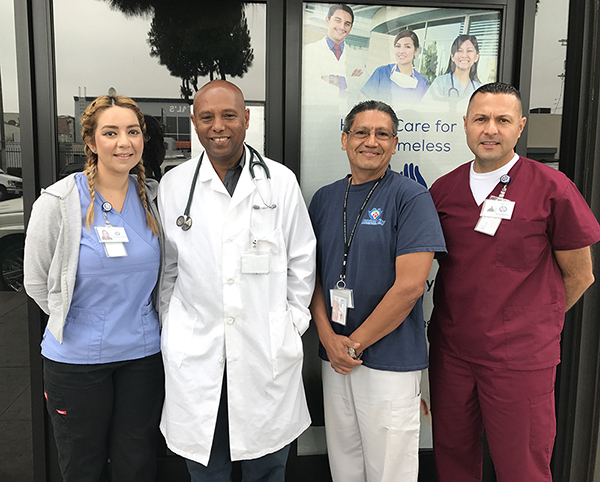 Our Primary Clinic serving the Homeless is located inside HOPICS (Homeless Outreach Program Integrated Care System) in South Central LA. In addition to our Broadway Clinic, outreach teams provide medical care at 14 different shelters and group homes, including street outreach. We believe everyone should have access to quality health care regardless of insurance status, income, race, language, sexual orientation, age or legal status. Contact Community Programs Office for Information or Appointments: (213) 471-4139 or (714) 520-0855. Homeless: Are you living or do you know someone living in the street, shelter, transitional housing, doubled-up, or group facility. Contact our Healthcare Outreach Navigators at 213-471-4139 or stop by our Clinic at 5715 S. Broadway, Los Angeles CA 90037 between 8 am - 4 pm. Health Resources and Services Administration - Community Health for the Homeless.